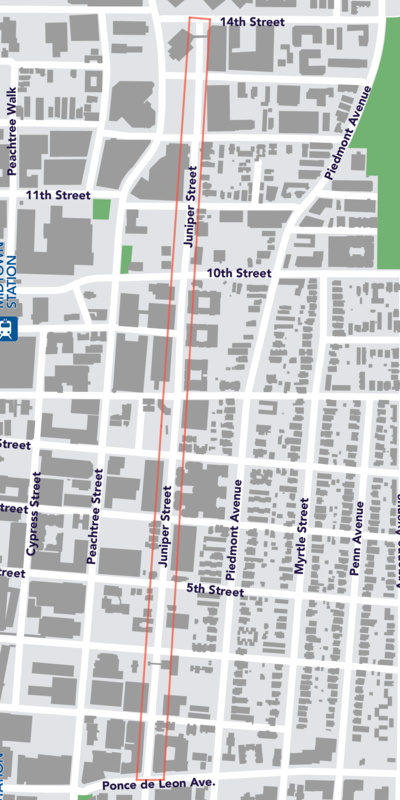 The Juniper Street Transformation Project spans twelve blocks between 14th Street and Ponce de Leon. The project would create a high quality bikeway and improved pedestrian amenities while also ensuring that vehicular traffic moves through at a steady (yet calmer) pace. Plans include new wider sidewalks, street trees, pedestrian‐scaled lighting, trash/recycling receptacles, and a network of stormwater planters that localize rainwater management, thereby reducing demand on City infrastructure. Adjacent to the western sidewalk would be a six-to-seven-foot separated bike lane protected by a wide (typically eleven foot) raised/planted barrier at intersections. 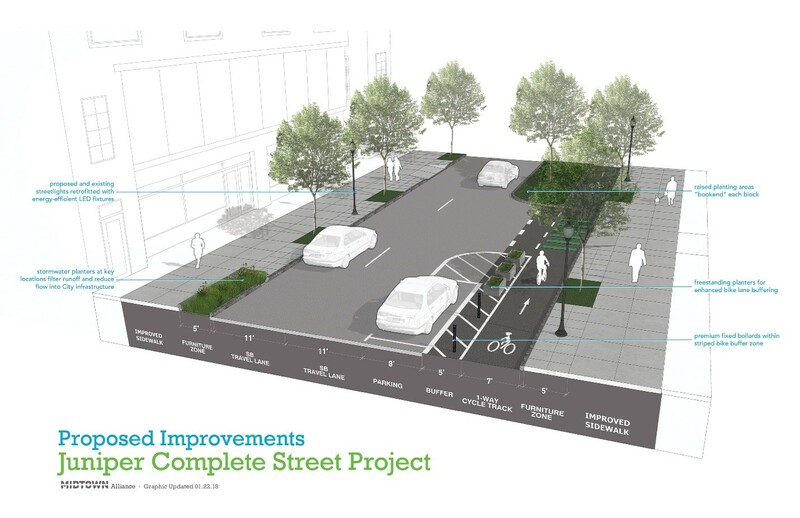 The bike lane buffer between intersections would consist of vertical landscape planters, striping and bollards. Parallel parking within portions of the buffer would provide another layer of protection for those walking or biking. The roadway would include two vehicular travel lanes (ten-to-eleven feet wide each) with additional dedicated turn lanes at key intersections with higher traffic demand. 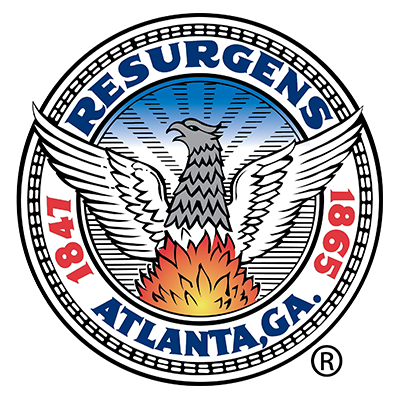 2017 – Inter-agency review of 100% Construction Plans. Additional $2.6 M awarded by the City and State bringing the total project budget to approximately $8.2 M. Review of additional environmental documentation by State and Federal agencies. 2018 – Approval of environmental documentation by State and Federal agencies. Final revisions to 100% Construction Plans for City review and approval. 2019 – Estimated timing for City to issue final plan approvals / construction permits. Public advertisement for construction bids, construction contract negotiation, and notice to proceed. Construction start is anticipated by Quarter 3 of 2019. 2019-2021 – Estimated construction duration of 18 to 24 months. Construction is estimated to begin by mid-to-late-2019 and is anticipated to last 18-24 months. Please stay tuned for project updates! If you have general comments or questions regarding construction, please contact transportation@midtownatl.com. For frequently asked questions please refer to this page: Juniper St Transformation FAQ.